The workshop at SUN 22nd takes place inside of the Tube and its goal is to offer new perception of how to think about the (London) Underground. Participants will do few simple exercises and after that spend some time inside of the Tube’s Zone 1. There will be an important rule: Once you enter the Tube you are not allowed to leave. 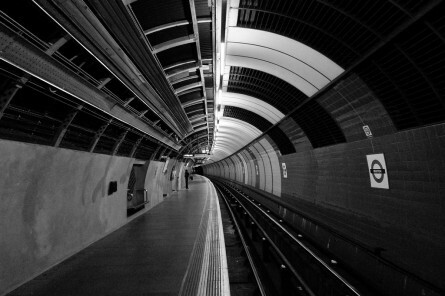 What new observations it brings, what the Tube phenomenon actually is about, does it serve to the citizens or no … ? Let’s make the Tube to be our playground! Workshop is lead by performance artist Antonín Brinda, current resident in Anatum’s Abode. It will be based on his previous research done in Prague, Czech Republic, as well as on his actual explorations in Abode. There is no fee but you will need a ticket for the Tube. Meeting point is Anatum’s Abode from where participants will continue via Limehouse DLR into the Zone. There also is a possibility of getting into more tougher version of the workshop at SAT 21st. Antonín is going to spent the whole day (from opening till closing) inside of the Tube and other London public transport system. The same experiment was already executed in Prague. During the day several small performance pieces were created and presented inside of the Prague underground. If there are some long duration performance artists or other crazy people who would like to join (even if for shorter period of time), please write to “a.brinda@seznam.cz” There is a a lot of possibilities how this research could happen, depends just on the communication between us! This entry was posted in Resident posts, Upcoming and tagged Antonín Brinda, long duration performance, open call, the Tube, workshop, Zone by Antonin Brinda. Bookmark the permalink.